Nablus: A terracotta-tiled dome pokes up above an avenue of cypress trees, crowning a creamy classical villa that bears the unmistakable influence of the great Italian Renaissance architect Andrea Palladio. On each of its four identical sides, flights of stone steps lead up to porticos topped with pediments, which look out across a rolling landscape of vineyards, olive groves and villages perched on distant hills. It could be Vicenza, were it not for the clusters of minarets rising out of the sprawling city in the valley below — or the fact that the distant hill towns are in fact Israeli colonies. This is Beit Falasteen, the House of Palestine, a surreal replica of Palladio’s 16th-century Villa La Rotonda transplanted to a hilltop above the Palestinian city of Nablus. 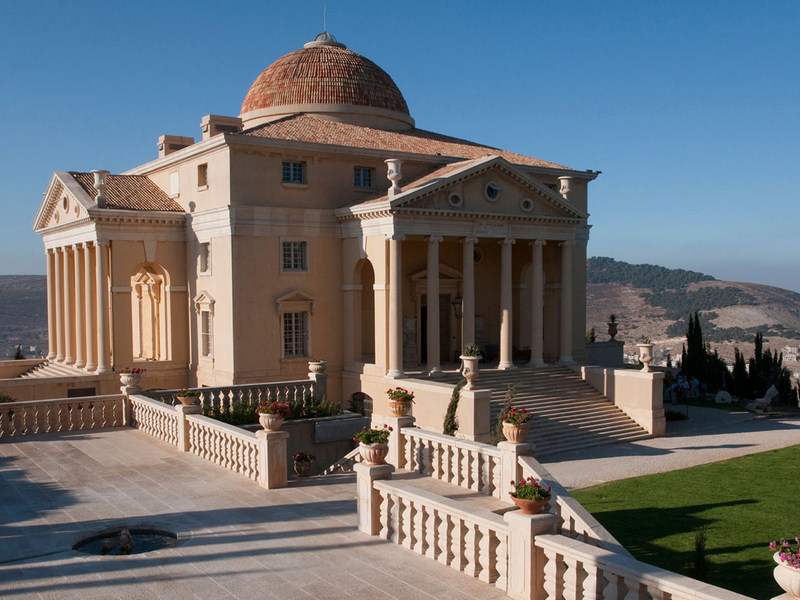 It is the home of Munib Al Masri, the richest man in the occupied territories, an oil tycoon turned philanthropist with a passion for antiques, variously known as the Godfather of Palestine and the Palestinian Rothschild — or, to local taxi drivers, the man in the palace on the hill. On one of the highest points in the land, he has built himself a carbon copy of Palladio’s seminal villa, with a few “improvements” of his own. “My version is 10 metres taller,” says Al Masri, standing on one of the four porches of his house, looking out over an elaborate garden filled with fountains, pools and triumphal stone arches. 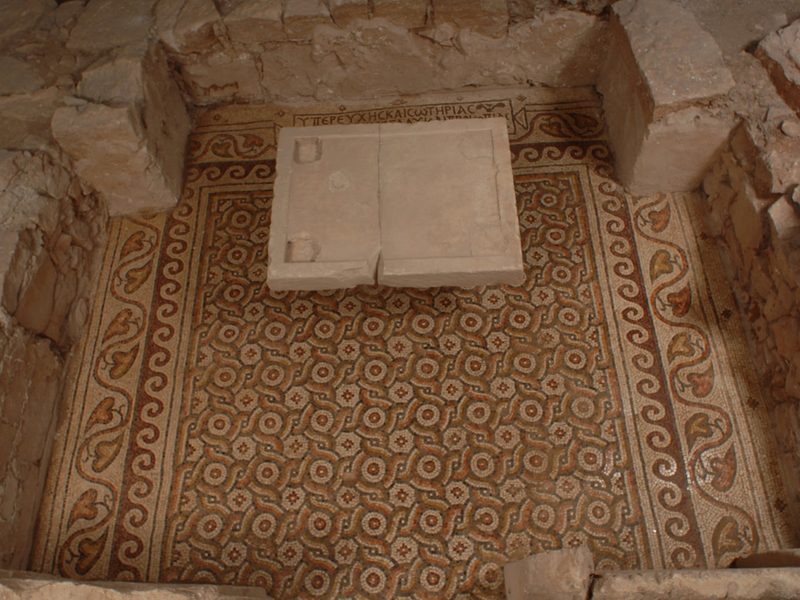 When Al Masri started excavations for the foundations, he unearthed a fifth-century Byzantine monastery with one of the largest expanses of intact mosaic floor in the region. He duly incorporated into the design as a curio in the basement of his home. It is now just one of the innumerable priceless treasures that fill this palatial fantasy that he is to publish a book about, detailing every painting and piece of furniture in his regal residence, the culmination of a lifetime of collecting. Born in Nablus in 1934, Al Masri moved to the US in 1952 to study petroleum geology at the University of Texas, before returning to establish a profitable energy company in Jordan, using his training to tap natural resources across the Middle East. As chairman of the Palestinian Development and Investment Company (Padico), which accounts for around a quarter of the Palestinian economy, his business empire now spans everything from telecoms and banking to construction and agriculture. But it was as a young man in Chicago, while working long shifts to pay for his studies, that he first developed a passion for Palladio. “Every Saturday we used to go out to an ornate place called the Palladium for dinner and dancing,” he says. 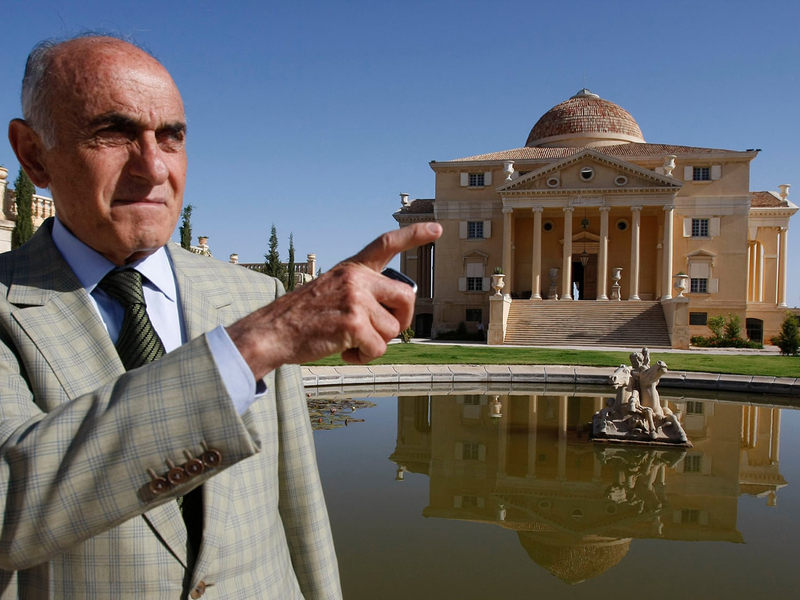 Like a latter-day Lord Burlington, who built himself the Palladian Chiswick House in London in the 1720s after seeing the originals on his Grand Tour of Europe, Al Masri quickly got to work when he returned home. He began in the 1990s, shortly after the Palestinian National Authority was established, drawing up plans with the help of his son Rabih, who had studied architecture at the University of California, Berkeley. 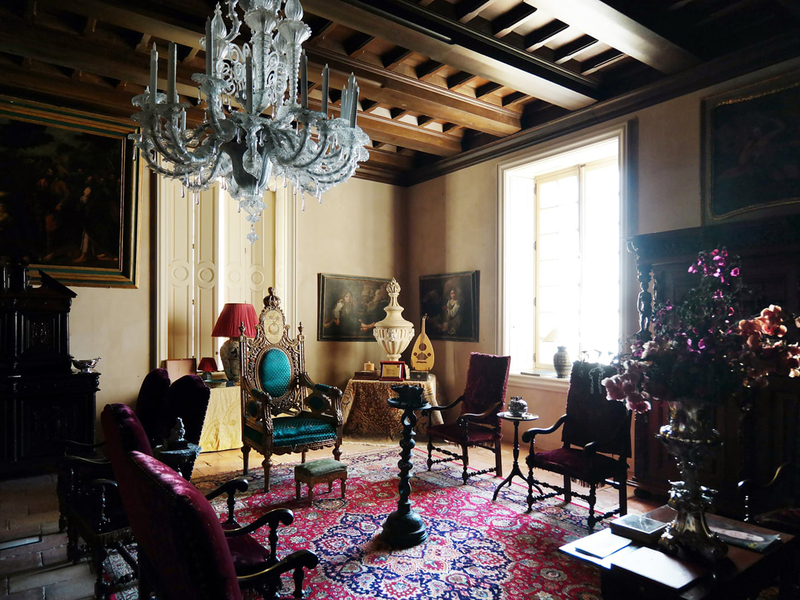 He asked interior designers Joseph Achkar and Michel Charriere to conjure the lavish decor and advice on furniture, a process that saw more than 100 containers of antiques shipped from across Europe. The result is a mini Versailles, an opulent wonder-world of excess, which features everything from Ottoman thrones to a greenhouse that Napoleon III apparently gifted to his mistress. “I’ve been collecting since 1953,” says Al Masri, as he shows visitors the central rotunda of the building, where paintings of the four seasons by Andrea Appiani hang below roundels of golden Arabic calligraphy spelling out the names of four prophets — Abraham, Moses, Jesus and Muhammad [PBUH]- beneath a soaring dome. “It’s a tough sickness,” he sighs. Where Palladio’s Villa La Rotonda has a stone drainage plate in the centre of the floor, shaped like a gaping-mouthed face, Al Masri has placed a statue of Hercules — or Mr Palestine, as he calls him. This great monument of a house, it becomes clear as the tour progresses, is a symbol of defiance in the face of occupation as much as anything else. In 2002, during the second intifada, when Nablus was bombarded by tanks and shelling, Israeli soldiers occupied the house while it was still under construction. The nearby colonies of Itamar and Bracha — deemed illegal under international law — are now home to at least 4,000 Israelis. Al Masri has acquired an additional 300 dunams (30 hectares) of land around his house in an attempt to prevent further colony expansion. The house was conceived as a monument to aspirations of Palestinian statehood, part memorial for what has been lost, part beacon for a possible future. As in Palladio’s original villa, which was built as a summer party house for a retired cleric, four grand salons lead from the central rotunda, although here they have been renamed after cities in historic Palestine. There is Jerusalem-Hebron, which contains a library of almost 5,000 books, where a pair of antique French spiral staircases lead to an upper gallery of first editions and rare manuscripts. A 17th-century stone fireplace frames an iron hearth decorated with a crown, while a six-foot-long camera from Turkey stands next to photographs of Al Masri with former Palestine Liberation Organisation leader Yasser Arafat, to whom he was a close confidant, alongside pictures with Nelson Mandela and Pope John Paul II. 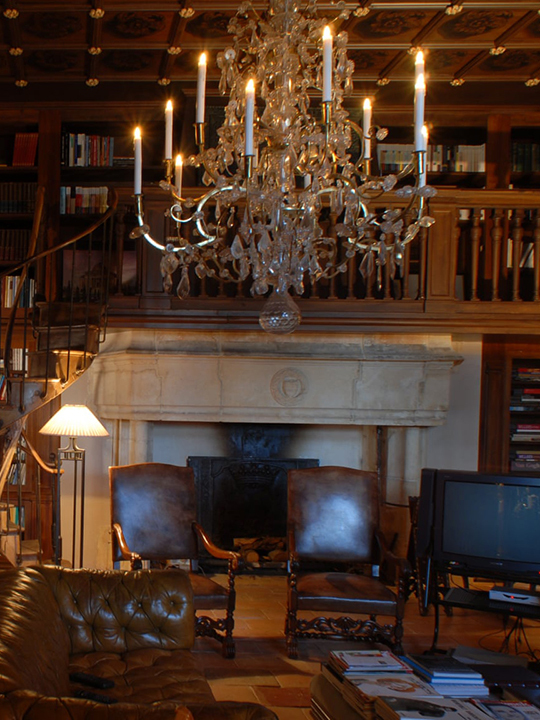 Next comes Nablus-Jenin, a lavish living room where an aged Venetian mirror rests atop a gothic granite fireplace. A French tapestry of dancing nymphs from the Gobelins workshop, said to have belonged to Louis XIV, hangs next to a Mesopotamian bronze statue of Prophet Mohammad’s (PBUH) mythical winged horse. Yemeni sculptures from the middle ages are displayed opposite a cabinet inlaid with turtle shell. In his second living room, Haifa-Jaffa, stands a gold-plated throne that belonged to Khedive Esmail, the ruler of Egypt from 1863 to 1879, which Al Masri bought because the steamship on which he first sailed to America from Beirut was named the SS Khedive Esmail. The list goes on and it’s hard to keep up. The agile 84-year-old moves quickly from possession to priceless possession, like a keeper auditing the contents of his museum, taking phone calls in between recounting the booty of kings and emperors. But the real meaning of the house, he says, is found on the floor below. Here, in a dusty series of rooms that have the forlorn air of an abandoned provincial museum, he has created a suite of educational displays. There is a room devoted to geology and the origins of life on Earth, followed by a small archaeological exhibition, and a wing dedicated to the history of the Palestinian struggle, interwoven with Al Masri’s personal biography, all depicted in a series of quaint murals. As in Vicenza, there are branded souvenirs too: Al Masri produces a bar of soap with an image of the house on it, made from the oil of olives grown in the grounds. He says that he wants to open his home to more visitors, and plans to subsidise the operation from the sale of olives, oil and soap. In the meantime, the electric gates remain mostly closed, protecting a world of peacocks and gazelles wandering between the Roman amphitheatre, Andalusian pools and pigeon lofts from the south of France.